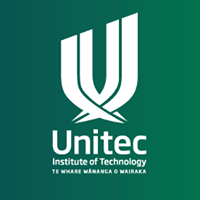 The 2019 Unitec Dance Winter Workshop will be held from 16-18 July at the Unitec Dance Studios in Auckland. One of the brightest stars in the winter sky, TAKURUA is the inspiration for Unitec Dance’s annual winter workshop, 3 amazing days of energy, creativity and dance. Discover contemporary technique, muscle and bone, repertoire, choreography, street dance + a Q&A and showing by current Unitec students. Led by New Zealand’s best Dancers and Choreographers, this workshop is suitable for senior secondary school dance students (Years 12-13) especially those applying to audition for the Unitec Dance programme in 2020. Cost: $120 for 3 days. Year 12 & 13 students preferred. Original generation time 1.4514 seconds.